Title of Study: How can information technology help people with multiple long term conditions navigate the health and social care system? Thank you for considering taking part in this study exploring ways to help older adults with multiple long term health conditions navigate the health and social care system. In this study we want to build a picture of your care network. We would like to hear your views about the different people involved in your care that are important to you or support you. You will be asked to respond to some questions about yourself and the people in your care network. There are no right or wrong answers and all the information will be anonymised and confidential. You have the right to withdraw from this study at any time and this will not affect your care. Further details about how to do this can be obtained from the researcher, Jolien Vos, at the contact details below. There are no known risks for you in participating in this research. If you however feel upset, experience any discomfort in taking part or have any further questions about this study at any time, do feel free to contact me (jvos@lincoln.ac.uk or 01522 886934). This study has received ethical approval from the University of Lincoln’s School of Health and Social Care Ethics Committee. 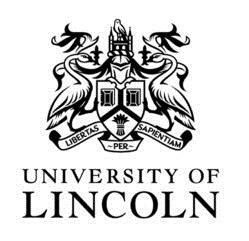 If you have any concerns about the way the research is being carried out, please contact either of the Co-Chairs of the School of Health and Social Care Ethics Committee, Dr Paul Linsley (plinsley@lincoln.ac.uk) or Dr Zowie Davy (zdavy@lincoln.ac.uk). Their postal address is School of Health & Social Care, University of Lincoln, Brayford Pool, Lincoln LN6 7TS. Completing the questionnaire is expected to take no longer than 20 minutes. If you would like to participate, please click the button below to find out more about the study and access the questionnaire. Once again, thank you for your consideration of taking part in this study.